Click the image below to enter a blog site documenting the step by step evolutionary process of over 80 portrait drawings Kelvin Okafor has drawn since 2010. Each portrait drawing consisting of 50 to 100 work in progress photographs. 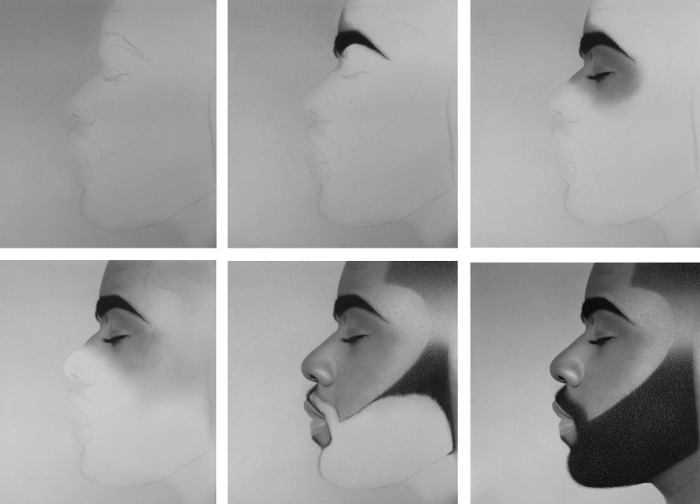 In the process of putting pencil to paper, Okafor begins by drawing in sections/stages. Since he was a child he has always created drawings in this manner. He visually dissects facial features; studies them, then puts them back together like pieces in a puzzle. This method of creating helps him understand facial and body expressions and also helps him appreciate the lengthy process each portrait drawing takes. The average portrait takes Okafor 100 hours to complete - from the first pencil stroke to the last finishing touch.